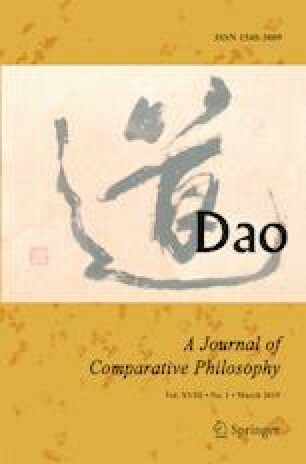 This article situates Xiong Shili’s 熊十力 classic work New Treatise on the Uniqueness of Consciousness (Xin Weishi Lun 新唯識論, 1932) within the central dilemma of post-May Fourth China surrounding the concerns with so-called modern universalism and Chinese particularism. I look at the way the text portrays its author as situated both within particular traditions and outside of them (in a realm of universality) in order to show how the figure of the author is presented as a site wherein Chinese/Asian particularism and universalism can be fused. My central aim, in doing so, is to argue that within the text’s discourse on the positioning of its author resides an implicit argument for the universality of Chinese or Asian philosophy—as interpreted and subsumed by the text—and against the hegemonic intentions of Western philosophy. Yet I also suggest that the text reiterates a conception of universality and an intention to monopolize the universal which are characteristic of hegemonic discourses. I would like to thank the two anonymous reviewers, whose comments greatly contributed to improving this article; Carine Defoort, who made valuable comments on a previous draft of this essay; and John Makeham, whose comments on my doctoral dissertation were of great help in improving this article and avoiding the reproduction of an important mistake in translation.